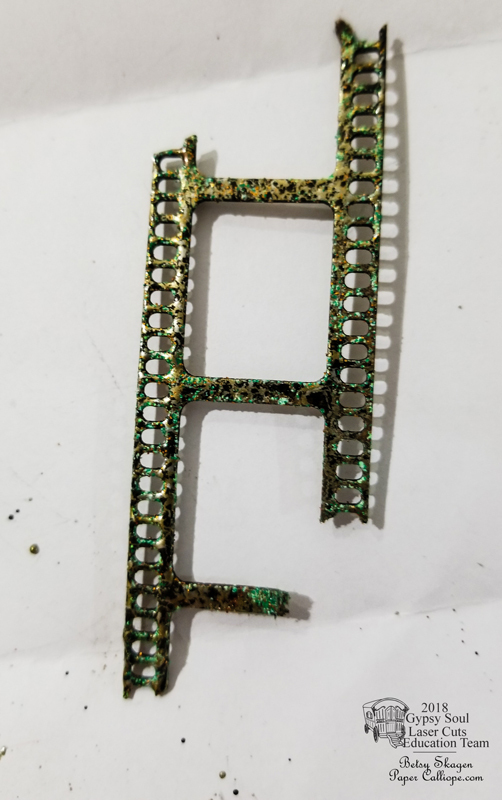 I had so much fun making this altered art project. After my massive undertaking of Kringle's Toy Store, I wanted to tackle something a little less time consuming. 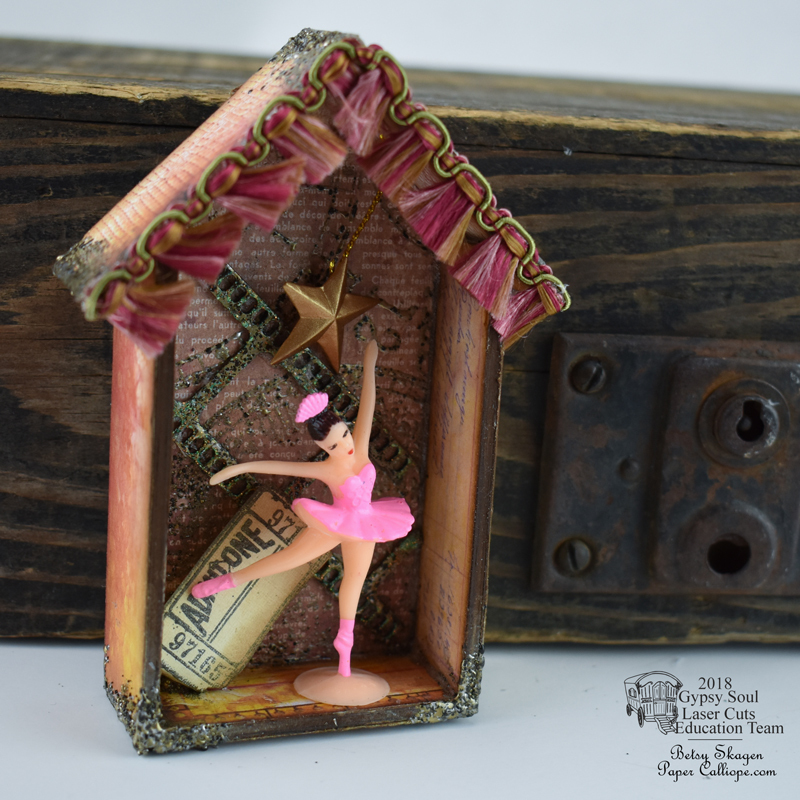 I think one thing that made the Tiny Dancer Shadowbox so much fun is that when I started I had no idea what the end result would be. I began by gathering the tiny pink dancer and the Mini House Shadowbox and let serendipity take its course. 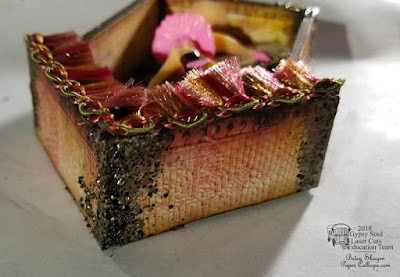 Begin by adhering decorative paper to what will be the interior sides of the Mini House Shadowbox 1. 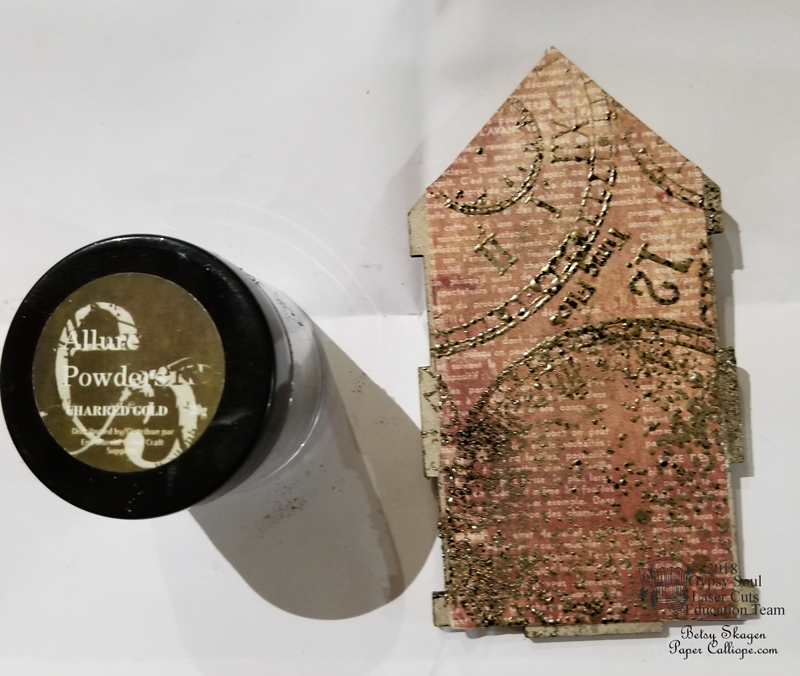 Stamp clock and moon images onto the interior back of the box with embossing ink, apply Charred Gold Embossing Powder and heat set. 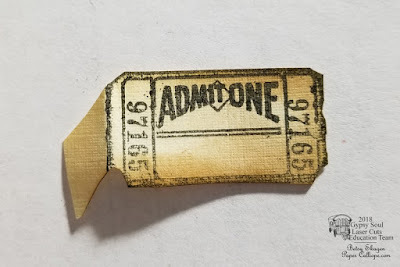 Cut a Filmstrip Mini Sheet so that it appears torn. 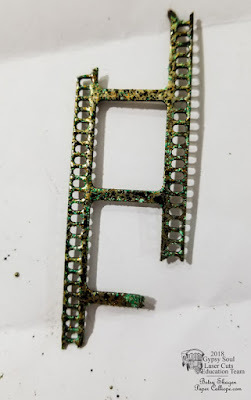 Apply Charred Gold Embossing Powder to the filmstrip using embossing ink. Heat set. Then apply Verdigras Sparkle Embossing Powder using embossing ink and again heat set. 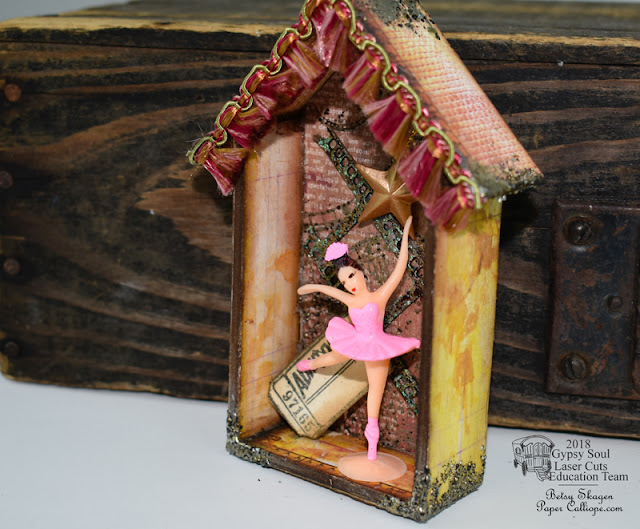 Assemble the Mini House Shadowbox using strong adhesive. Adhere decorative paper to the outside. 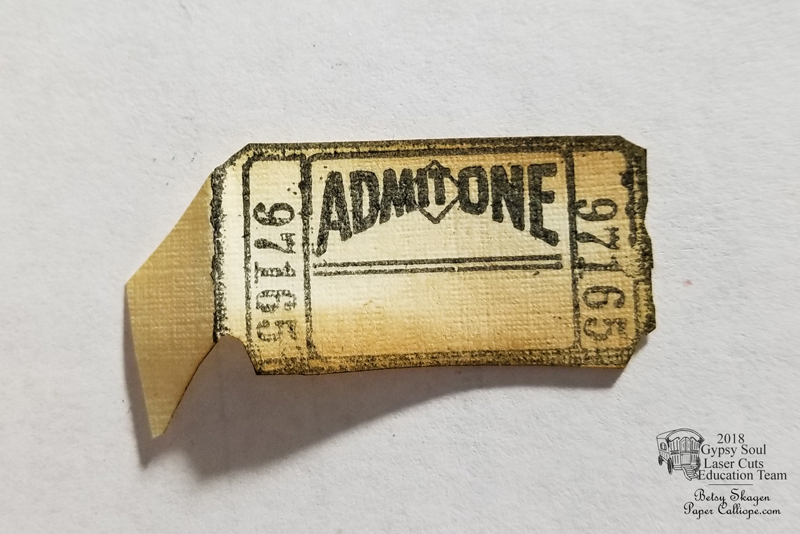 Stamp a ticket onto paper. 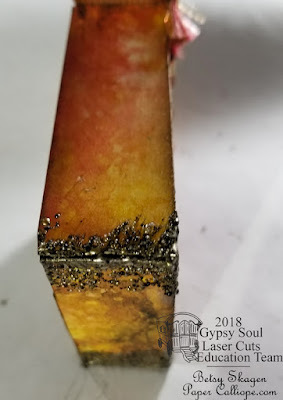 Distress with brown ink. Cut out, while leaving an edge to form a stand. Ink the edges of the house with brown ink. Apply embossing ink and Charred Gold Embossing Powder to the corners, roof peak and roof edges. Heat set. Glue the filmstrip, ticket and dancer inside the box. Add fringe ribbon to the roof line. 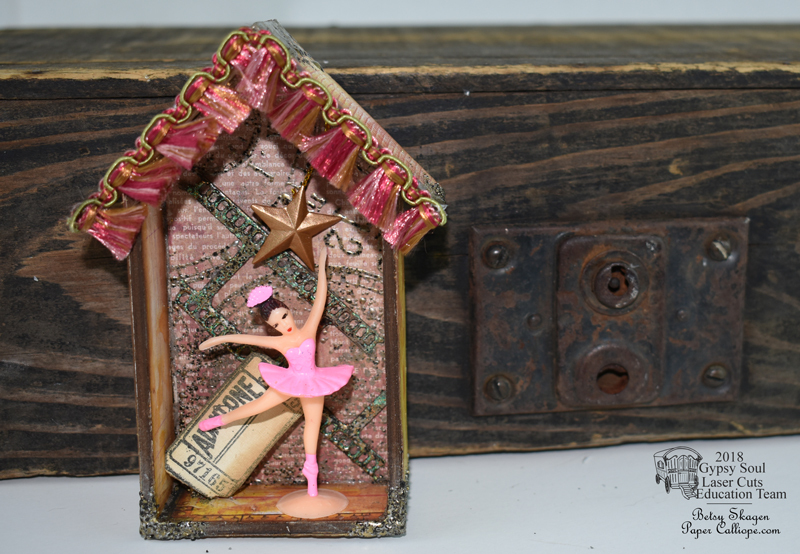 After you hang a star from the ceiling and add fringe ribbon to the roof line your Tiny Dancer Shadowbox is complete. Ode to a bumble bee . . .